I have worked for Dr. Kay since the very first day he opened his doors back in 1980. Back then it was just me and him and a two-operatory office. I am married to a great guy and together have raised three kids. We have been a part of the Yelm community since the early 1970's by volunteering and participating in various youth and sports programs. I enjoy watching the Mariners, Seahawks, and WSU Cougars. I also enjoy quilting, gardening, and taking care of my animals. It is an honor and privilege to work with a great dental family who takes pride in caring and providing the greatest dental care. 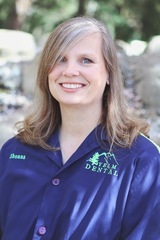 I am licensed dental assistant having graduated from Spokane Community College in 1996. I have been involved in the dental field for over 20 years and find it very rewarding. 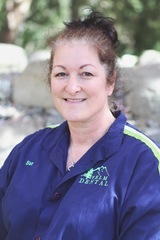 I have enjoyed working for Yelm Dental since March 2000. I enjoy helping people and I take pleasure in the great relationships I have made through the years with the incredible staff and amazing patients at our office. I have two wonderful children, Chris and Skylar, and we enjoy many outdoor activities together including soccer and camping. I have been a dental assistant since 1997. I enjoy every day to the fullest and it brings me great pleasure to help people, especially as a I work in the community where I live. I have lived in this area for the majority of my life and have no plans of ever leaving. I am married and have one child, Wyatt, who brings me joy and smiles everyday. As a family we generally spend our leisure time outdoors playing and enjoying all the Pacific Northwest has to offer. I encourage you to get outside and play! 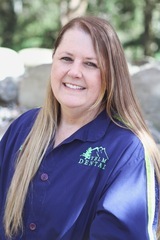 I have been a dental assistant since 1987. I have lived in the Tacoma area since 1984 and moved to Yelm in 2007. 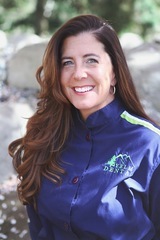 I joined the Yelm Dental "Tooth Team" in 2008. I enjoy helping our patients feel comfortable and work hard to make sure that they have a positive experience. I enjoy life with my husband Bill and our son Willie. I also have two grown children, Rudy and Julie, and one granddaughter Alyssa. I enjoy camping, hiking, gardening, playing a the beach or mountains, bike riding, reading, and traveling.